If you have any questions about me as a Swedish professional genealogist or want to do a free inquiry to find your Swedish ancestors you can use the contact form below or the email contact@findyourswedishancestry.com. If there is an inquiry, please fill out as much information about your Swedish ancestry you can so I can make a correct assessment for a price suggestion. There is no fee for an inquiry or question. Read more about the services I provide to help you find your Swedish roots. To send a request you need to check the box above. Your contact information will be deleted after your request or order is handled. 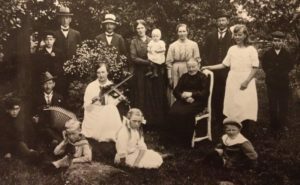 Read how Find your Swedish ancestry collect and store your personal data.